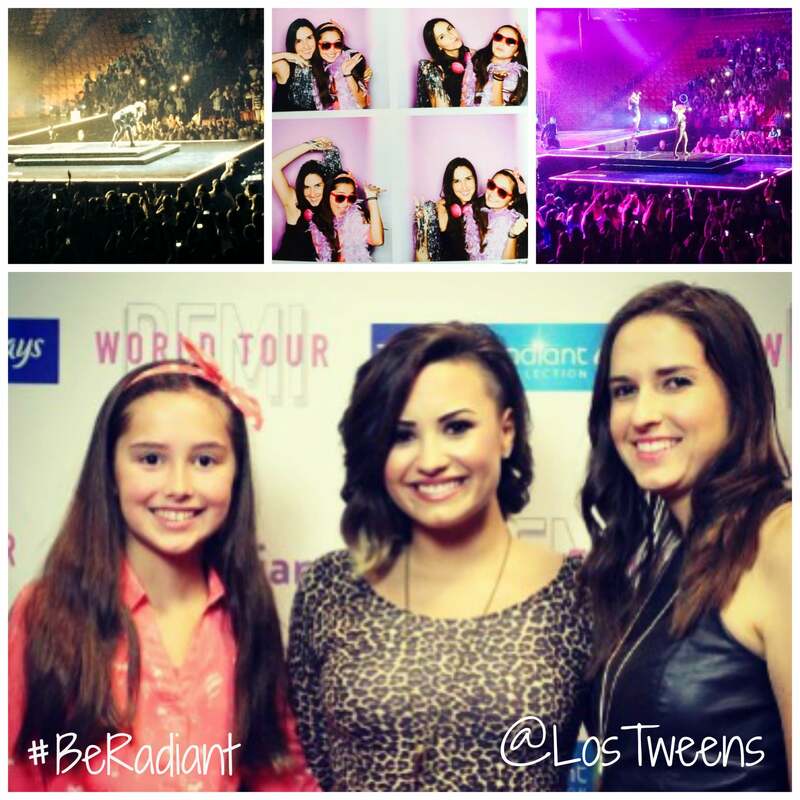 Disclosure: Los Tweens was provided tickets to the Demi Lovata concert and meet-and-greet by Tampax. However, all opinions expressed are our own. Did you have a “Camp Rock” fan in your house? We did! Our tween daughters were HUGE fans. In Katherine’s house Maddy had toys, clothing and even a thermos that was recently replaced. In Cristy’s house the twins would create their own concerts with inflatable guitars and take turns being the lead singer. Of course, their favorite actress from “Camp Rock” was Demi Lovato. While Demi has come a long way from the “Camp Rock” days, she is still thrilling tween and teen fans. Her latest venture, the Demi World Tour currently has 27 stops in the U.S. and Canada with plans to add stops in Europe. We had the chance to catch up with Demi and see the concert in Miami thanks to concert sponsor Tampax and Always Be Radiant collection. Our experience at the Demi World Tour started with the meet and greet. We had the chance to say hi, snap a pic and thank her profusely. It was quick but just enough to make our tween daughters giddy and weak in the knees! 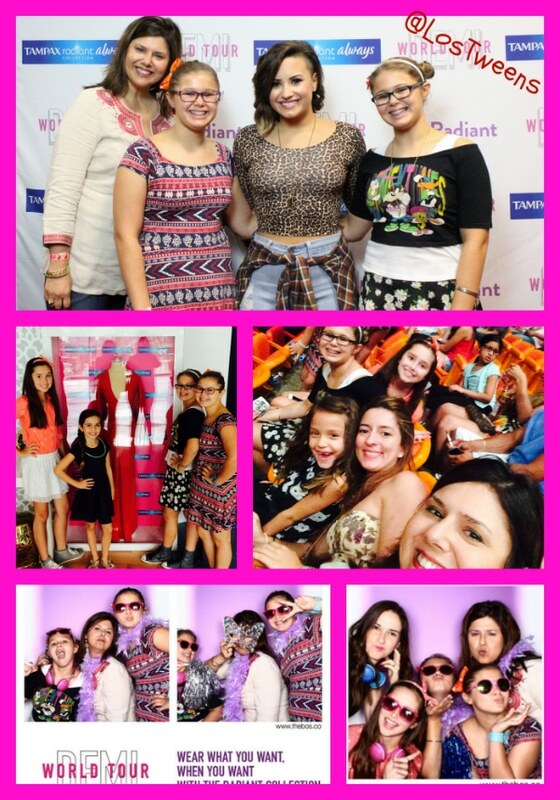 Cristy, Sophia & Olivia meet Demi and have fun at #BeRadiant booth! Be sure to leave time to stop by as you head into the concert! Opening acts for the Demi World tour include the very talented Christina Perri, duo MKTO and the amazingly inspiring Spencer West (Twitter: @Spence2thewest). Spencer suffered from a rare childhood disease that claimed his legs and left his parents with little hope he would survive. He thanks who for his survival and great life he’s led? YES, HIS MOM! His story inspired Demi and together they traveled to Africa for Demi’s 21st birthday. She told her young audience to inspire to do ‘good’ in the world- not what others tell you. Select concert stops will see our favorite spunky Latina rapper, Becky G.
Demi does not disappoint and opens up to her audience about life, career, struggles and more. At the Miami concert, she went as far as to stop in the beginning of “Nightingale” to send a special message to a fan who had recently lost her father. Whether tweens, teens or adults, Demi fans will truly enjoy Demi World Tour. 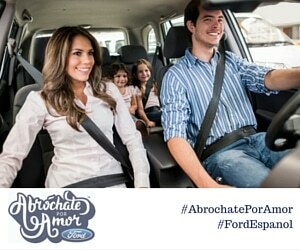 And to help you enjoy it even more, we’ve put together a few tips. Dress funky-casual. Think jeans, leg gins and a fun top. Take the cue from Demi and wear flats. You’ll be on your feet for much of the concert so be comfortable. Arriver early to visit the Tampax Be Radiant pop up and be sure to get your pics taken in the photo booth. You can mail, tweet or text them to yourself. Don’t miss the opening acts! Christina Perry, MKTO and Becky G are over-the-top talented. When you think it’s over…it’s not really over. Keep cheering and Demi will come back for one last song! P.S. Special shout out to the dads taking their daughters to the concert. Katherine sat next to one momentarily and he was doing a great job being excited for his daughter who screamed in sheer joy each time Demi started singing a new song. Good job, Dad! 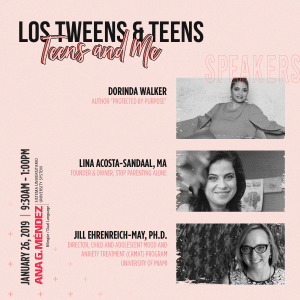 This entry was posted in Entertainment, Parenting Teens, Product Reviews, Raising Tweens and tagged Concert, Demi Lovato, Music, Parenting, Tampax. Bookmark the permalink.